This highly accessible book guides students through the production of either a traditional or a systematic literature review, clearly explaining the difference between the two types of review, the advantages and disadvantages of both, and the skills needed. 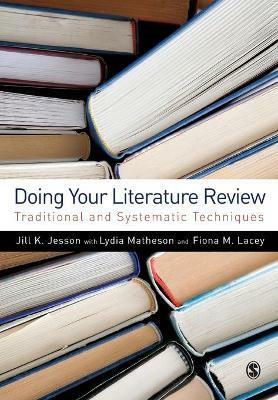 It gives practical advice on reading and organizing relevant literature and critically assessing the reviewed field. Contents include using libraries and the internet, note making, presentation, critical analysis, and referencing, plagiarism, and copyright.